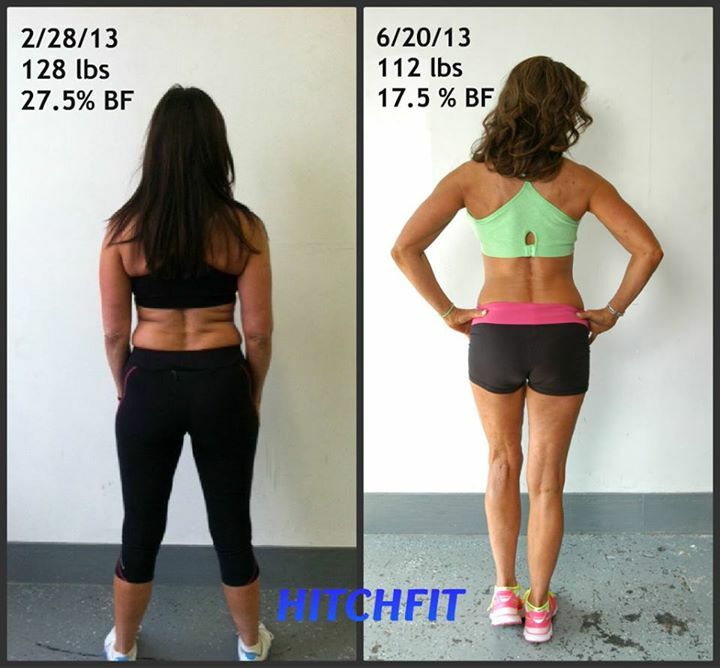 Kansas City Woman Sheds 10% Body Fat at 57 Years of Age with Hitch Fit Gym Personal Training! 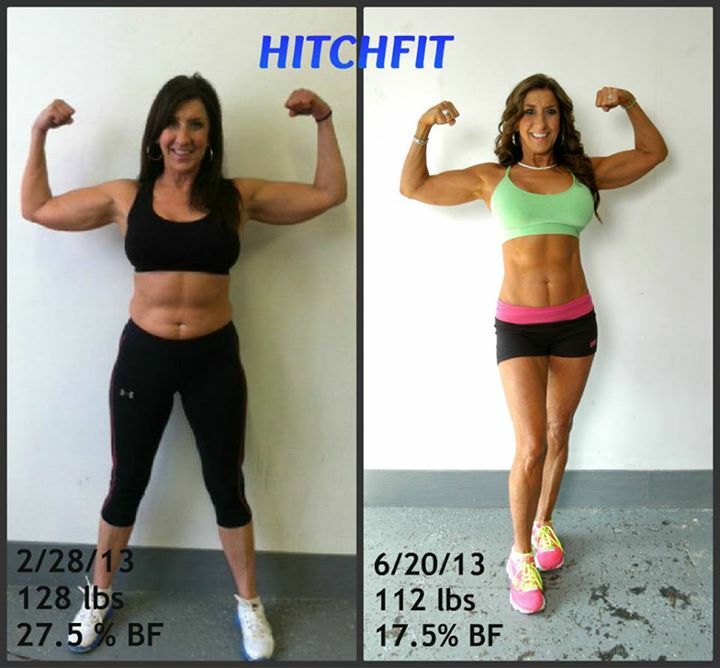 Home/Success Stories/Kansas City Woman Sheds 10% Body Fat at 57 Years of Age with Hitch Fit Gym Personal Training! 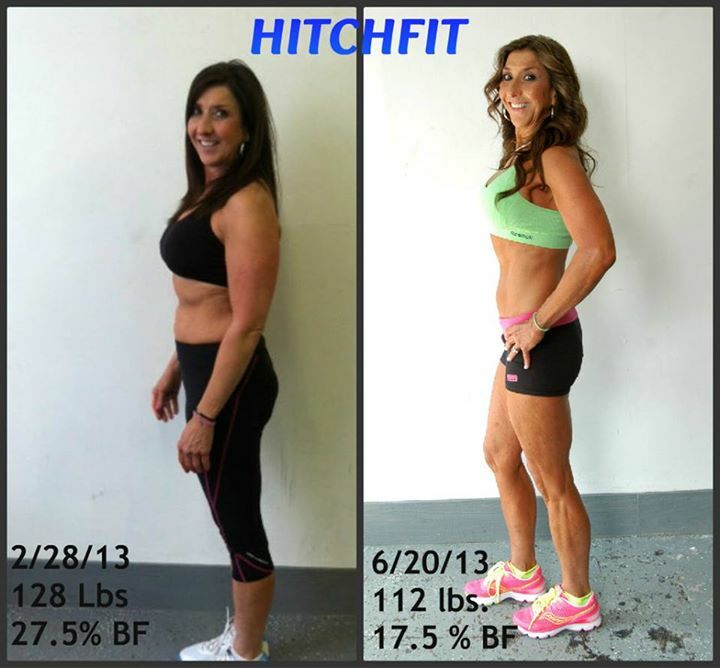 At 57 years of age Nancy decided to change her body and her life with Hitch Fit! She shed 10% body fat during her transformation, this process had such an impact on her that she decided to make it her new career, Nancy is now a Hitch Fit TRANSFORMER at the Downtown Kansas City location! Before I signed up at Hitch Fit, I had heard about this gym. I knew several people who had completed the 16-week program, and I knew that you had to be serious about your commitment. Frankly, it scared me a little, because I stood back and watched these people with admiration, but wasn’t sure if I could ever be that serious about my diet and work-out plan.I had always been physically active. I loved swimming, weight training, exercise classes, and teaching Zumba, however in my mid-50s I fell into a big slump. I was working out less, doing nothing but getting increasingly overweight. At the same time I started feeling worse about myself, losing an edge of confidence and joy, feeling less feminine and sensual, hating to even put on clothes, because I didn’t feel good in anything–I didn’t look or feel like I wanted to. I was really at a stand-still, and had no motivation to get better. No one knew how I felt, and I’m sure I tried to hide my feelings.What I needed was a kick-start. Something to motivate me! I needed to get back to me again! That’s when a co-worker of mine told me she was doing Hitch Fit, and said, “You should do it too!” Hummm….I quietly considered it–the commitment to be better, to get serious about stepping out of my slump—and I signed up February 28, 2013. Hitch Fit was exactly the motivation I needed! My trainer, Rachel was perfect for me! She is a strong and beautiful person who showed me what I had inside–that I didn’t know I had. She “knew I could” when I wasn’t sure if I could. She made me Believe in Me! and I loved what we were doing. Contact us today at 816-753-8900 or write to [email protected] for details on programs and availability. Two private training personal training studios available in the Kansas City area. Would you like to train with Nancy? She trains at the Downtown Hitch Fit Gym location. Stop by her Trainer Profile for contact details!